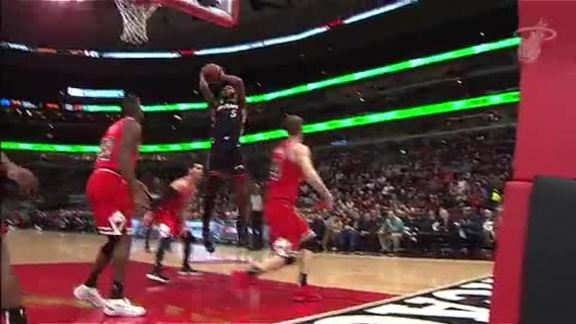 The Miami HEAT defeated the Chicago Bulls 117-103 Saturday night at United Center. 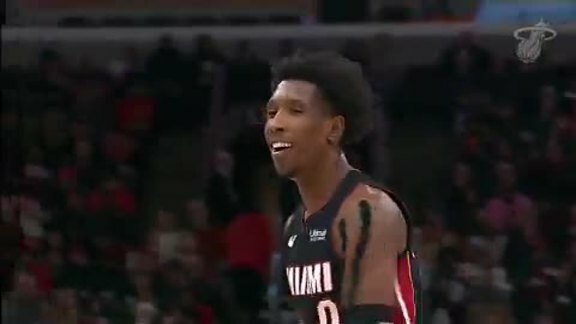 Josh Richardson led the way for the HEAT with 26 points. After missing Friday night’s game against the Pistons, Richardson made his presence felt early and often versus the Bulls. On the flip side of the ball, Richardson did his thing against multiple assignments, including Kris Dunn and Wayne Selden. In addition to his team-high 26 points on 10-of-15 shooting, including 4-of-8 from deep, the former Tennessee Volunteer also had three boards and two assists. 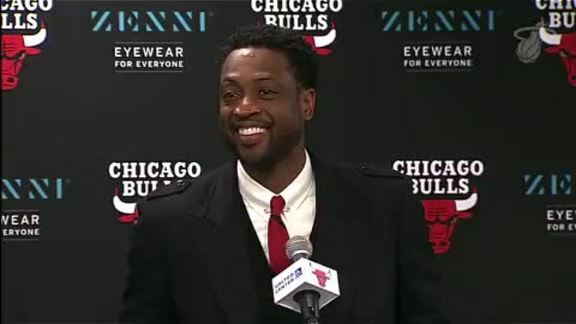 Simply put, Dwyane Wade did not disappoint in his final performance in Chicago. From the start, the wily vet had a spring in his step, as he scored nine quick points in the first half. Then again, his most impressive play came late in the third on a crafty step-back corner three over Lauri Markkanen. 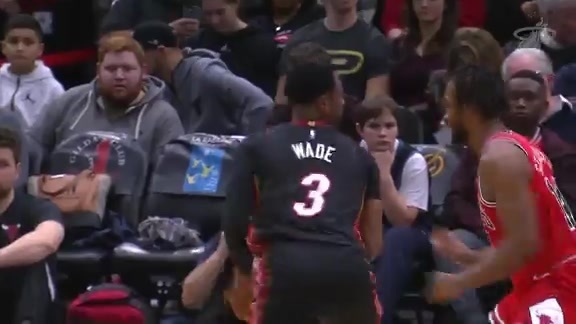 Wade finished with 14 points on 5-of-11 shooting, 10 rebounds, a team-high seven assists and a team-high plus-16 rating. 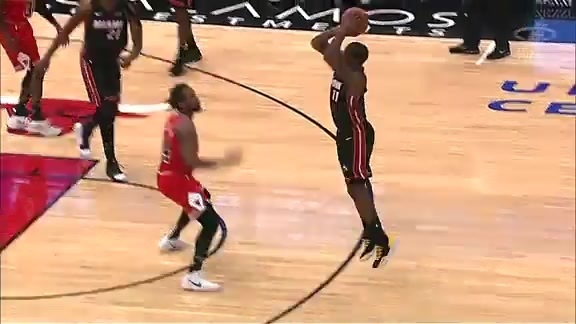 While Dion Waiters took part in Miami’s barrage from deep in the fourth quarter, his best stretch came a little earlier in the contest. In fact, Waiters scored 13 points on 6-of-10 shooting in the second quarter, including 11 of the HEAT’s last 15 points in the period. Waiters ended up with a season-high 21 points on 9-of-13 shooting, six rebounds and two assists. -TJ absolutely went off in the fourth quarter with a team-high 13 points on 5-of-6 shooting, including 3-of-4 from downtown. When it was all said and done, the 26-year-old accumulated 14 points, two assists and a team-high two steals. In all, Adebayo had five points on 2-of-3 shooting, three assists, two blocks and one rebound to go along with that steal above. -Up next for the HEAT are the Boston Celtics on MLK Day at 6:00 PM. Miami’s next home tilt will be on Wednesday at 7:30 PM against the Clippers. Tickets for that game at AmericanAirlines Arena can be found here.